In commemoration of 9/11 and its own 12th anniversary, the Brooke Jackman Foundation (BJF), a children’s literacy organization that has donated more than 200,000 books to children and families in need since its founding in 2001, will celebrate literacy and hope at the 4th Annual BJF Read-a-thon on Saturday, September 7, from 12 – 1:30 p.m. at Barnes & Noble Tribeca. Featuring actress Julia Jones, best known for her role as Leah Clearwater in The Twilight Saga films, this free public event for children and families will celebrate the positive, transformative power of literacy. Radio Disney Host Matt Wilder will serve as MC for the day, welcoming children and families from throughout the New York area. Additional Read-a-thon guest readers include celebrated children’s author Stephanie Calmenson, cast members from Spiderman on Broadway, New York Fire Commissioner Salvatore Cassano and fellow 9/11 uniformed heroes. To celebrate more than a decade of instilling the love of learning into thousands of children throughout New York, BJF will also debut ABC What Help Means to Me, a collection of 26 stories, one for each letter of the alphabet, from children of BJF’s literacy programs. The book is inspired by the tremendous outpouring of support and togetherness witnessed in the wake of Hurricane Sandy. The Brooke Jackman Foundation was started 12 years ago to honor Brooke Jackman, a bright and compassionate 23-year-old who was killed in the 9/11 terrorist attacks before achieving her dream of becoming a social worker. Brooke was an avid reader, and her passion and commitment to literacy and helping children spurred the Jackman family to create BJF as her living legacy – turning tragedy and despair into hope for a better world. Since 2001, the Brooke Jackman Foundation has donated nearly 200,000 books and over 20,000 Brooke Packs, backpacks filled with books and school supplies, to children and families in need. BJF has established four libraries, as well as a number of after-school literacy programs in schools, homeless shelters and Family Justice Centers for victims of domestic violence and crime. The BJF Family Literacy program welcomes over 1,000 families a year at schools in Williamsburg, Greenpoint, Washington Heights and Inwood, as well as at the NYC Family Justice Centers in Brooklyn, Queens and the Bronx. The 4th Annual BJF Read-a-thon will take place on Saturday, September 7, from 12 – 1:30 p.m. at Barnes & Noble Tribeca (97 Warren St). 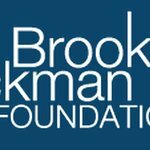 For more information, please visit brookejackmanfoundation.org.